MP3 by Chapter of Scripture outstanding! 1) ​Scaled-down simple, clean, user-friendly interface. Although many people expressed an affection for the old site, we found that during user-testing some people expressed being "overwhelmed" or "intimidated" by the sheer amount of data before them. So one of the main goals of the new iteration was to make the site as usable, the content easy to navigate and clicking as intuitive as possible. This gives the visitor a better subjective experience and an overall sense of control and peace of mind when navigating the site. See the new home page here. 2) Smartphone- and tablet-friendly interface. Greatly enhances the experience for those who frequent the site on mobile devices. No need to download an iPhone or Android app. Simply log on to the site at Monergism.com and it will automatically shrink to conveniently fit whatever device you navigate the site with. This is one of the most promising aspects of the upgrade and will prove most useful to those love sermons and frequently download Mp3 files . My recommendation for these users is to either do a search and select "MP3" as the format OR (EVEN BETTER) to click-thru and navigate the Old Testament and New Testament sections, which are filled with sermons and lectures on every chapter of the Bible. The website perfectly collapses into the shape of your smart-phone or tablet screen and you will be able to download the MP3 file directly to your device. This will also be useful for those who are reading our blog and other resources posted on our website, but it may not work for written resources from links that take you off-site, with the exception of .pdfs files. 3) Vastly improved search. The old search tool wasn't bad at all ... but this new one hits it out of the park. The new "Discreet Vocabulary" developed by Travis Carden shows up on the left edge of every search and gives the user dozens of options which enable the user to dig deep with minimal effort. But trying to explain this to you with language is really inadequate. You have to actually try it out for yourself and see how amazing this new feature is. Searching has never been easier or more intuitive. Try it. 4) Automatic broken link removal. 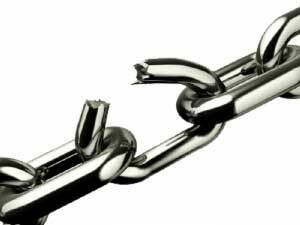 Our new site software sweeps the site daily to automatically remove broken links so your user experience will be greatly enhanced as finding good links will be your usual experience and broken links will be rare. After the links are removed the server will send me the list of the links it has removed so I can 1) repair the link if it is still available in a new folder or somewhere else on the the Internet. or 2) delete the link altogether if it is no longer active anywhere online. 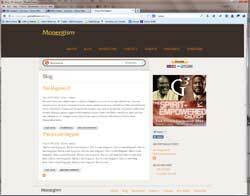 5) Monergism.com will now have its own daily blog. In the previous iteration of the site, the homepage had a "Weekly Features" section which highlighted some great content from around the web and linked to some of our own articles, eBooks and MP3s. Now this content and much more will be available from our blog. Here we will feature the best links from around the web, free eBooks, new MP3s, guest posts, and our own theological musings on the sufficiency of grace in Jesus Christ. In our most recent blog posts we are highlighting 1) an excellent 9-part MP3 lecture series by Dr. Sinclair Ferguson on the doctrine of sanctification and 2) a new free eBook of 12 sermon manuscripts by Dr. Tim Keller and 1 by Dr. Martyn Lloyd-Jones on A Vision for a Gospel-Centered Life, 3) among other things. 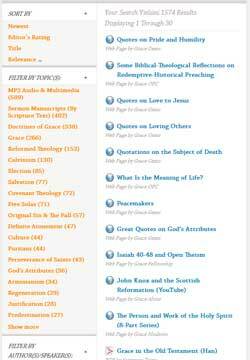 6) Browse by topic, author/speaker, or scripture: the option to click through and browse content in a format similar to the old theological directory with quotes and a hierarchy of sub-topics. Although we have an Amazing new search engine with discreet vocabulary, many people still like to navigate our site by clicking down through our topical hierarchy. 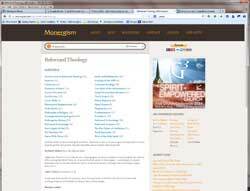 All the quotes from the old site have been retained and, in our opinion, this is still the best way to search for a sermon on a particular chapter of Scripture. 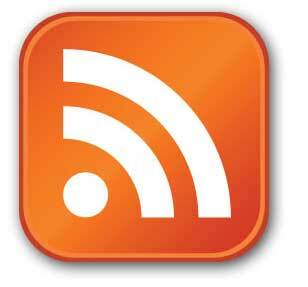 7) RSS Feed: For those of you who would like to track our daily blog posts or would like to be notified every time new links have been added to the database, you can click here to sign up for our RSS Feed. 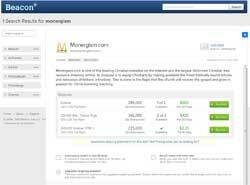 If you are a business and would like to advertise on Monergism.com, please click here for more information. We are seeking support for the 2014 year from individuals and charitable foundations who give yearly grants to 501(c)(3)s such as ours. Our total budget for 2014 is $130,000 which includes full time salary for two content developers, one part-time engineer, expenses related to site upgrades, equipment, web hosting, promotions and the like. 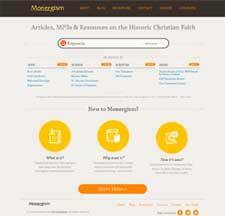 We ask that, if the Lord has blessed you financially, that you would prayerfully consider giving for the first time OR increasing your monthly gift by 25% which will help sustain Monergism.com in 2014 so it can continue to reach Christians and skeptics alike around the world. or if this is your first time visiting Monergism.com, start here.